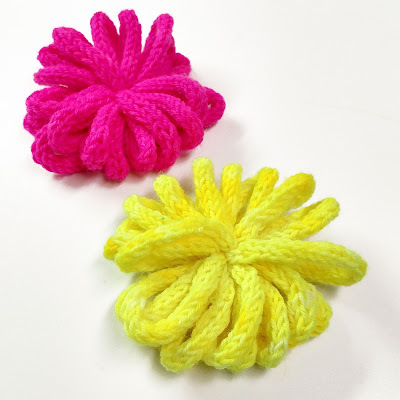 This fun loopy pom-pom made from an i-cord is a unique topper for any hat. Instructions are for small 2.25" (5.75 cm) and large 3.25" (8.25 cm) size pom-poms. The Flower Petal Hat pattern shown above featuring an i-cord puff is available via ravelry or as a kit from MollyGirl Yarn, but in the spirit of the holiday season, I've made a free tutorial for the i- cord pom-pom. 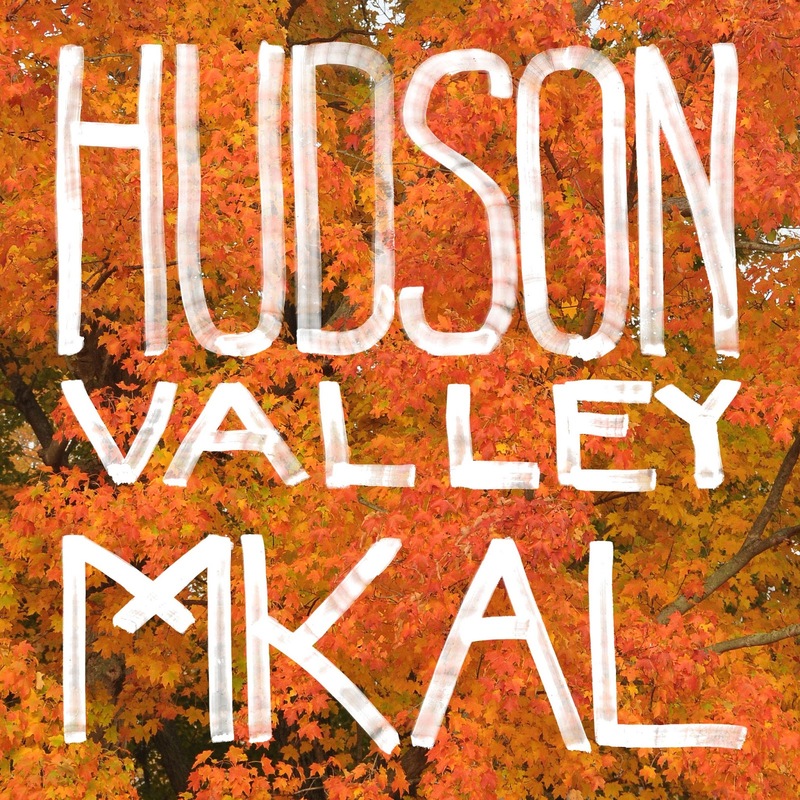 What is an MKAL and what do these letters stand for? 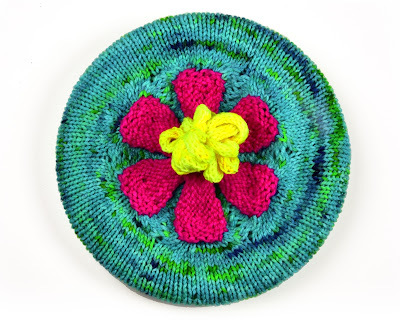 A Mystery Knit a Long (MKAL) is a knitting project that you take on without knowledge of the end result. In essence it is an experience where you put all your trust in your guide, the designer, and must enjoy their aesthetic enough to hand over all control as they lead you on a never before traveled journey in yarn. 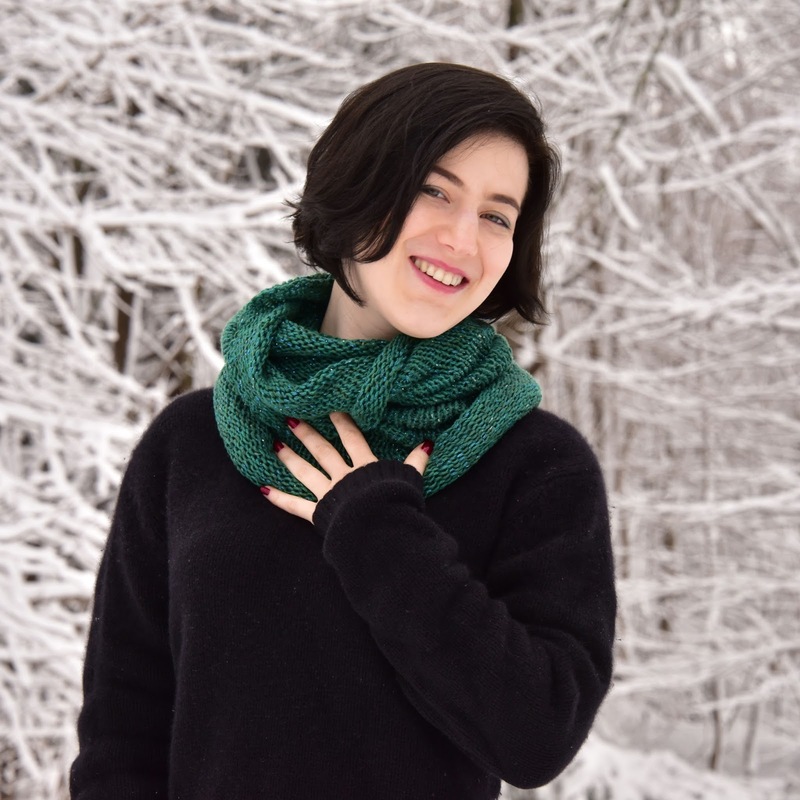 You and your newly formed band of adventuresome knitters generally receive an introduction to the project telling you what materials you will need, but little will be revealed about the project to come. The actual journey is directed by a set of clues, each taking you in a different and sometimes unexpected direction. Some will be easy, some will be hard, and some times you’ll notice experienced knitters helping beginners along in the dedicated MKAL Ravelry forum. The Scowl (scarf - cowl) is a versatile accessory that can be worn many ways. Knit in a simple tube, the magic comes from the loose gauge and smooth, silky yarn which allow the size to change when stretched in different directions. 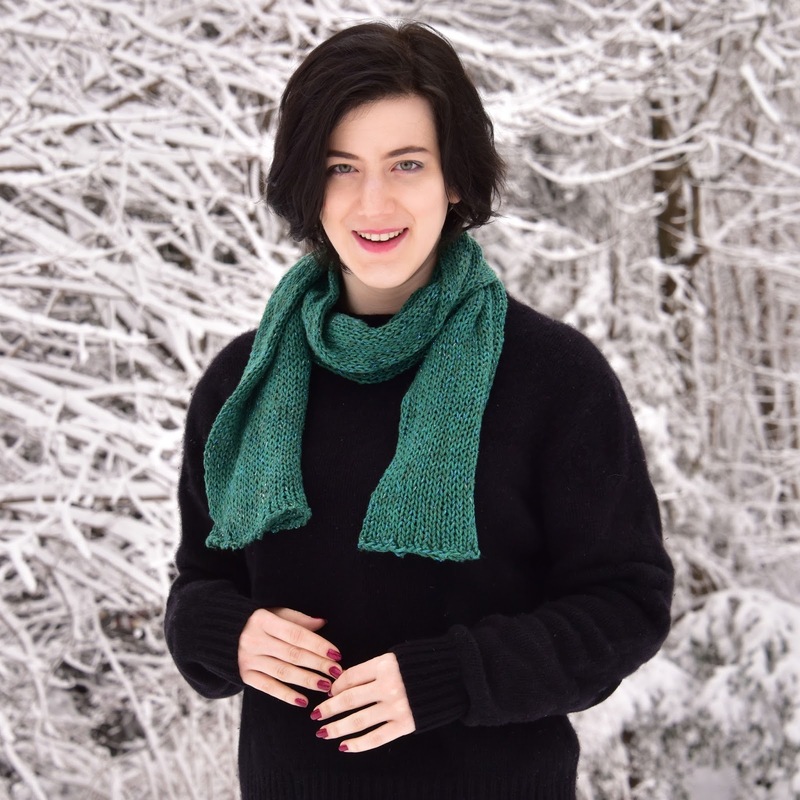 Wear it as a scarf, stretched lengthwise, and it measures 6" x 60". Stretch the tube horizontally and you get a cowl 18" tall with a circumference of 30".